THE federal government has dropped cases against 18 people charged with welfare fraud following a High Court ruling over retrospective legislation. The Commonwealth Director of Public Prosecutions withdrew the cases following Victoria Legal Aid’s successful High Court challenge to backdated welfare fraud laws. On May 8, the High Court ruled that social security legislation passed in July 2011 and backdated to March 2000 was invalid when applied retrospectively. The court found that people who failed to report changes which might affect their benefits during this period were not liable for criminal charges because there had been no obligation to report them at the time. The cases against Kelli Keating, the applicant in the High Court case, and others facing similar charges, were withdrawn at the Heidelberg and Melbourne magistrates’ courts earlier this month. Ms Keating said she was “over the moon” with the result and delighted the battle to clear her name from the stigma of welfare fraud was over. 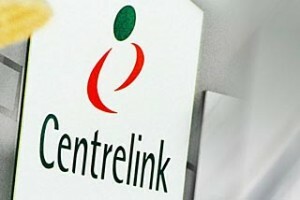 Ms Keating had been charged with welfare fraud for receiving an overpayment of $6942 from Centrelink. The overpayment occurred when Ms Keating was working irregular shifts with fluctuating income. “I certainly never set out to do anything wrong but like so many others, I misunderstood my obligations to Centrelink,” Ms Keating said. “I was overwhelmed, at a time in my life when I was under a lot of pressure as a newly-separated mother trying my best to manage with three small children. Victoria Legal Aid’s Kristen Hilton said many people who had been overpaid by Centrelink weren’t welfare cheats, but had made a genuine mistake. “Being overpaid is often due to a genuine mistake and is not the same as fraud. Also, Centrelink can already reclaim overpayments through administrative processes without having to prosecute someone.